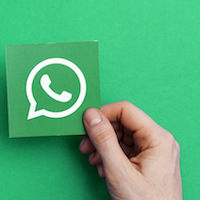 Nowadays, WhatsApp has become an integral part of everyone’s life who use Smartphone. Therefore, it’s better to send joke and prank videos through WhatsApp and bring a smile to the faces of your loved ones. Generally, it is seen that everyone forward the messages that they receive but never tried to find the source. 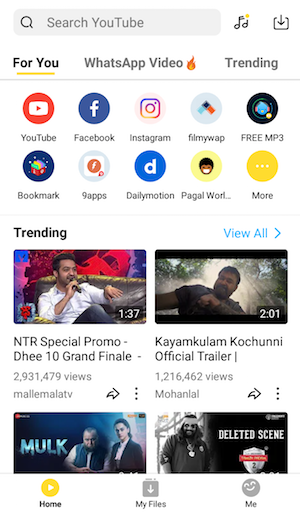 Here you will be able to know about a way to explore countless laughter videos that can be shared on WhatsApp and the easiest solution to download joke video for WhatsApp. 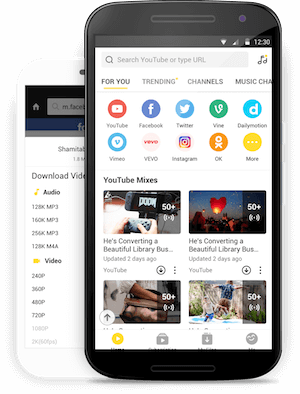 Snaptube is a 100% free mobile application which is specially developed for Android operating system users because it is open source.You don’t need to pay any subscription charge for using the downloading service that allows everyone to save videos with maximum resolution of 4k. Snaptube is a great tool for availing all viral videos that you see on social media websites. One of the best features that you will love to use is its direct integration with major video streaming sites. By signing up with a Google ID, you will be able to access all subscribed channels in a categorised manner like sports, entertainment, news, movies, animation and infotainment. 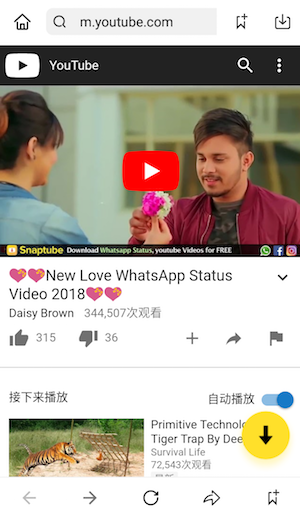 To use this joke video for WhatsApp free download app, first of all, you need to be download it. This part is little bit tricky if you are a new android user easy enough to understand. All you need is a working internet connection and an Android operating system based Smartphone with latest version. Read carefully all steps and follow them accordingly. Download Snaptube application from its official source because other websites may contain malware threats. It is not available at play store thus the only way of downloading is from websites in .apk file format. Now install it in your Smartphone. Notice: For custom ROM mobiles like Mi and Redmi, simply allow the installation of third-party apps when a popup appears that will redirect you to the system settings option. If you are using stock Android mobile like Google pixel or Motorola, the chrome browser will show a popup of blocking. Just go to the settings option and allow it from there. 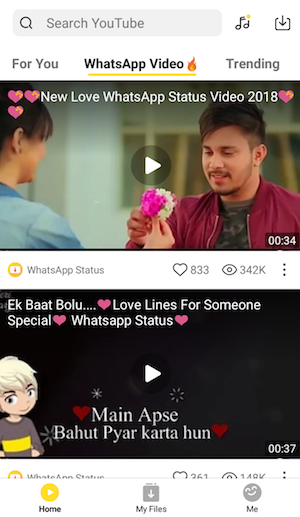 Once the app is installed in mobile, navigate to the “WhatsApp Video” tab to explore jokes WhatsApp video. If you remember any genuine site for laughing videos, enter the URL in search box or directly type the name of any video. The search will instantly take you to the YouTube results. When the video of your choice appears, play it online in all resolutions that are possible. For downloading, tap on the “Download” Button which is mentioned below every video. Here you will get options to select any of the resolutions in audio and visual format. Now the downloaded files can be shared with any person or WhatsApp groups that you are sharing with family and friends.